This entry was posted in Beauty Reviews, Giveaways, Reviews and tagged dry skin, feet, footcare, party feet, school by Fiona Martin. Bookmark the permalink. Use a salt scrub regularly which keeps them smooth. Cover your feet in a moisturising foot cream and then put socks on before you go to bed. put cream and wear sock to sleep! put cream on before bed! For a feet treat – rub an intensive foot cream on your feet and leave overnight overnight – wear socks to keep your bedding clean. You’ll wake up to soft soft feet! Dry your feet thoroughly after washing them, especially between the toes which is where germs such as Athlete’s foot can easily breed. Mosturising daily with a foot cream, especially the heels. Professional pedicure helps to keep feet smooth. Always make sure that you dry your feet properly after bathing. I use a foot file on my dry skin after every bath. Soak and moisturise daily and wear shoes that fit well. Remove hard skin regularly and keep them moisturised to prevent build up. I soak them in a bowl of warm water and some baby oil. Keep heels smooth after every shower to avoid skin splitting and becoming painful. Use a file and creams for soft and silky skin! Regularly use a pumice stone (or similar) to keep hard skin at bay, and make sure you moisturise feet at night with any cream that absorbs well. Use a good quality foot moisturiser every day, preferably at night and then wear cotton socks to bed which helps the moisturiser to work. Don’t wear flip flops all Summer, a year of wearing them in Australia caused my feet to spread & I went up a shoe size! I put moisturising foot cream on every night before bed. ALWAYS wear properly fitting shoes! put a foot scraper in your bag when you go swimming so that you can slough off the dead skin when it is really soft. After soaking feet in warm water, use a pumice stone to smooth heels. Never keep damp socks on! Moisturise your feet as well as your legs. Give them a good 15-minute soak, everyday if possible. Take care to moisturise your feet regularly and to look after patches of rough skin. If you have really dry feet, lather plenty of a thick cream like a Shea butter moisturiser before bed. Pop on some socks and in the morning your feet will look a lot happier! Put moisturiser on before you go to bed, and wear socks in bed! Moisurize! Vaseline is particularly good for very dry feet! every week i cover my feet in foot cream and put socks on and sleep in them for the night in the morning my feet are baby soft. Dry them well after washing, to prevent dry/sore skin! Let your feet breathe as much as possible. Use your hair dryer on a cool setting to make sure feet are really dry after a bath or shower. Always dry your feet really well! After exfoliating use a body butter & let it totally sink in before putting shoes/socks on. Wear clean socks or stockings every day! Remember to apply sun cream on hot days if going barefoot or wearing sandals – feet need protection from the sun too! Soak your feet with a drop of tea tree oil in the water. For a cooling treat for tired feet- grab a couple of bottles of cold water from the fridge and roll your feet over them ( bottle must be round like a rolling pin ) you get a cool massage too ! rub cream in to your feet then wrap with cling film and leave to soak in. not got any tip thats why i cold be doing with this prize my heels are bad maybe should say dont wear flip flops all the time ? Wash your feet in warm, not hot, water every day & dry your feet well, making sure to dry between the toes. Remember to moisturise your feet, it’s easy to forget about them! pampering them with a good scrub and buffing away the hard skin, followed by rubbing them with some high moisture cream. Always dry your feet well after every bath or shower, then 3 times a week use a nice rich foot cream to moisture the feet, sealed overnight with a pair of thin cotton socks. Your feet deserve a treat with all the hard work they do. Talc your tootsies to help thick walking socks go on easily. Step 1: Foot file straight after a shower or bath. Step 2: Heel cream with more than 10% urea. Leads to soft perfect tootsies! Soak your feet in a bowl with warm water. Put some Radox salts in it. Feels amazing! 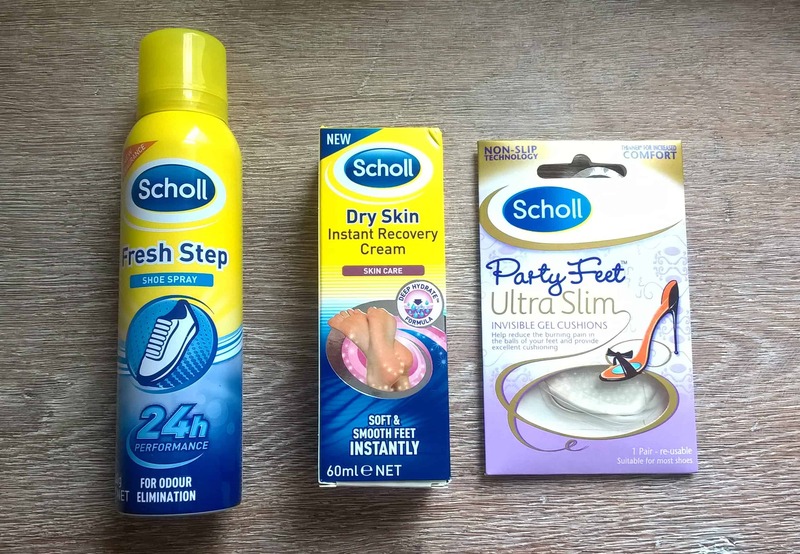 mY FEET CAN GET REALLY DRY AND LEATHERY, SO i moisturise a lot, or use scholl products when it gets really bad. Use a pumice stone on dry heels/feet after you have had a shower, It is much easier because your feet are all soft! Put lots and lots of moisturizer on your feet just before you go to bed and put some old socks on. When you wake up your feet will be so soft! Dry your feet thoroughly after washing them. I always smother my feet in cream and then put my bed socks on, in the morning my tootsies are soft! Wear comfortable shoes to help keep problems from happening. When applying Nail Varnish to your toe nails always apply a clear varnish or clear top coat varnish before you apply your coloured varnish then you will find when you remove it the colour won’t of stained your toe nails. Aqueous cream is cheap & great moisturizer for feet apply at night and wear some white cotton socks the heat absorbs the cream. Moisturize and wear cotton socks to bed. Use a scholl pedi product to keep your feet in tip top condition. Always wear something on your feet and lots of moisturiser. Wear Shoes that Fit . Don’t wear shoes that squash your toes. Deal with issues with your feet as soon as you notice them – they won’t get better on their own! Soak your feet each week then exfoliate them and rub in lots of moisturiser. Each week soak your feet then exfoliate them and put on plenty of moisturiser, it will keep them looking and feeling good. Use plenty of moisturiser on your feet and wear comfortable shoes! Moisturise them with hand cream before bed! My feet are awful so I can’t give advice but will read all the other posts and get some ideas. Always trim your toenails straight across, never at an angle or down the edges. Don’t wear the same shoes everyday – alternate heel heights to support your feet and hamstrings. After bathing remember to dry your feet and toes completely to avoid any discomfort later. Foot masks are a wonder! Do try them – they even sorted out my terrible feet! when holidaying in places like India, Pakistan, Africa always wear footware as many locals use the ground as a toilet – you don’t know what you are walking in with the heat drying up everything – with risks of catching infections if one is cut. I use a good foot scraper and then moisturize before bed once a week. never abuse your feet with poor shoe choices, you have one set to last a lifetime. Moisturise before bed and the cream will do its magic whilst you are resting and not on your feet. don’t rush getting ready – make sure your feet are completely dry before putting anything on them. A quick blast with the hairdryer will help with this. Look after them all year round. Use plenty of cream and an Egyptian sponge in the bath daily. Smother your feet in body butter and cover with socks at bedtime…you will wake up with silky soft tootsies! Moisturise every night with an intensive cream. Wear properly fitting, supportive shoes that suit the activity you’re doing but when your at home – air those toes! Apply lots of moisturizer to feet before bed then sleep with socks on to lock in the moisture. In the morning your feet will be so soft and smelling yummy! Moisturise well before bed before applying new socks, in the morning your feet will be so super soft. keep them moisturised all year round so they look good when you need them to! I honestly dont have one! I take awful care of my feet. I’m lucky they still let me stand on them to be honest! Will definitely be taking note of everyone elses comments though!